The situation at the London Institute has never been more precarious. With Mortmain and his clockwork army still threatening, the Council wants to strip Charlotte of her power and hand the running of the Enclave over to the unscrupulous and power-hungry Benedict Lightwood. In the hope of saving Charlotte and the Institute, Will, Jem, and Tessa set out to unravel the secrets of Mortmain’s past—and discover unsettling Shadowhunter connections that hold the key not only to the enemy’s motivations, but also to the secret of Tessa’s identity. Tessa, already caught between the affections of Will and Jem, finds herself with another choice to make when she learns how the Shadowhunters helped make her a “monster.” Will she turn from them to her brother, Nate, who has been begging her to join him at Mortmain’s side? Where will her loyalties—and love—lie? Tessa alone can choose to save the Shadowhunters of London…or end them forever. I have been waiting and waiting and waiting for this audiobook!! And I wasn't disappointed. 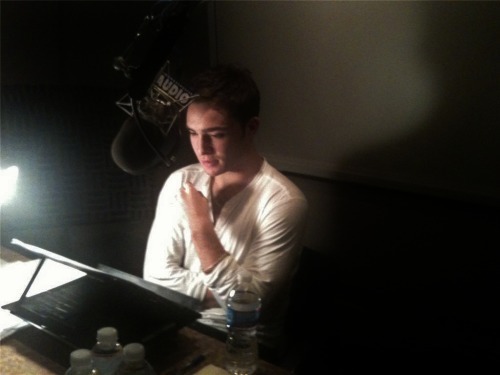 Most people talk about Ed Westwick when they talk about the Clockwork Prince audiobook, and he did a fantastic job. I love listening to him talk! I can actually picture him as Will, so that makes it even better. He has a very deep voice, with a British accent which was perfect for Will. Most of the audiobook, however, was read by Heather Lind (who read Blood Red Road). She was absolutely fantastic as well. She did such a great job with reading for Tessa, and all the characters, sometimes having an American accent, and sometimes a British accent. The one thing that confused me about the way the audiobook was done was that there didn't seem to be any rhyme or reason to when Ed read and when Heather read. Well, I think Ed read from all of Will or Magnus' point of view, but he also randomly read from Tessa's point of view. I don't know if this was just to give him more reading time or what. It didn't bother me or anything, I just found it curious. Overall, I absolutely loved it! It would definitely be one of my favorite audiobooks of 2011, and actually of all time. The thing I loved about listening to this book, was that I could so completely lose myself in this story. I didn't feel like I was rushing through it. Cassandra Clare is one of the most brilliant writers I've ever read, and this audiobook brought that to life, and added so much feeling and intensity to the story. I really hope they use the same readers for Clockwork Princess!! I can't recommend this audiobook enough! Listen to a sample here. Clockwork Prince was definitely one of my favorite books ever. I absolutely loved it. It's funny because I don't feel like that much actually happened in this book, but I don't even care. I loved reading about Will and Tessa and Will and Jem.... and Will!!! Oh Will.......you just completely break my heart. I thought that I loved The Mortal Instruments books, but The Infernal Devices has just blown them away. I love the setting, the characters, the storyline, the intricacy of the plot, how everything weaves together, the mystery, the fact that while some things are obvious, other things are completely unknown to me. These books are brilliant, and if you haven't started them yet, you don't know what you're missing! These books are on my absolute favorites of all times list, and now this audiobook is on my favorites list as well! Read Amy's Clockwork Prince review here. My review of Clockwork Angel. I'm really excited to listen to this one. Always great on audio! I would love to have this book in audio version. I listened to the little extract and I'm just crazy about this other way to enjoy a book. I love Ed Westwick! I'm really excitd to hear him read Clockwork Prince! The book sounds awesome! Not that its any surprise! This book sounds amazing! I just bought it in hardback, but I listened to a preview of it and I am in love with his voice. This book sounds awesome! And I've been seeing and hearing such great things about it! mmm this giveaway is fantastic! thank you! Even though I already read (and loved!) this book I will definitely be listening to the audio as well. <3 Ed Westwick!! I still haven't read the first one! But I have read the Mortal Instruments, and hear this series is even better. I love listening to Cassie's books on audio. The world really comes to life. The readers do an amazing job. Thanks for the giveaway. I absolutely love this book! My favorite of Cassandra Clare's so far. I can't wait to listen to the audiobook. Clockwork Prince sounds amazing. I can't wait to hear more about Will, Jem and Tessa's adventures. Plus I'm excited to hear Ed Westwick read! 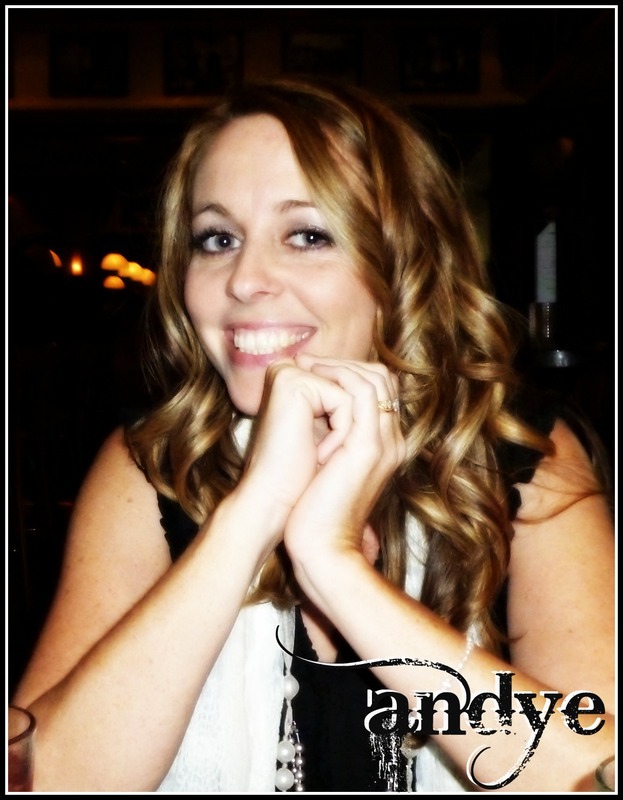 I would love a chance to win the audiobook! Mmm...Ed Westwick ;) I'm currently in the middle of reading Clockwork Prince and I'm loving it so far! I'm definitely intrigued by it! This book has received a lot of hype and I am very intrigued to read it or listen to it as the case may be LOL Thank you for the awesome giveaway opportunity. I read this book yesterday and is so amazing!! I can't stop thinking about it!!!! I cried at the end because I felt so sorry for many characters!! This book sounds awesome! Can't wait to listen to it! I've heard a ton of great things about the audiobooks! IT SOUNDS FANTASTIC! Wow I really want to win this one. I love that Ed Westwick is one of the narrators... And Will is so fantastic. The bad boys always get me! Ed Westwick's voice makes me melt! Thank you for this giveaway! well since I seem to be getting hooked on Audio books (all your fault Andye) I would love to listen to this one since I read first one in the series.